Enjoy an exclusive and delicious fine dining experience whilst taking in the magically lit canals of Amsterdam. The Pinnacle of romance! You will receive a drink and an amuse bouche upon coming aboard our luxury canal boat, making for a festive start to an evening of sailing and dining. 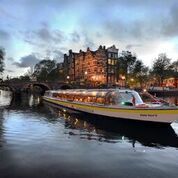 The dinner cruise through Amsterdam lasts 2,5 hours, during which our chef will prepare a 4 course meal “live” and your every wish will be catered to by our cheerful staff. 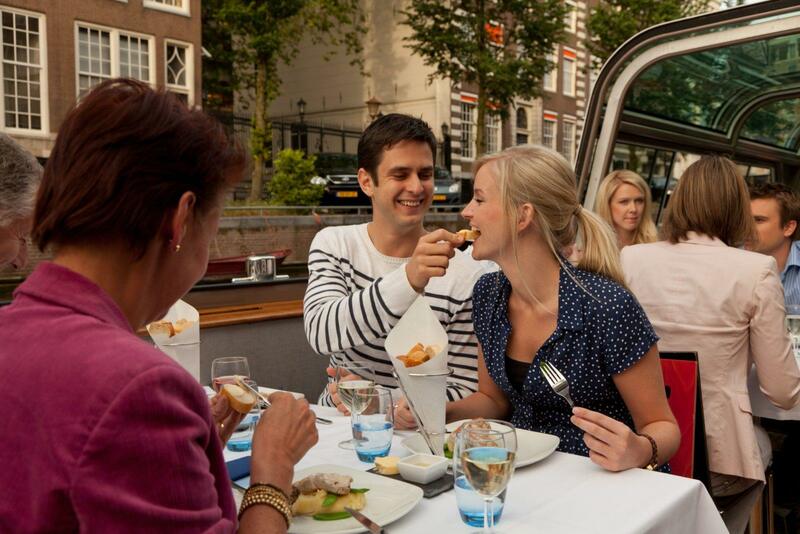 The Amsterdam Dinner Canal Cruise is without a doubt the most culinair cruise in Amsterdam. IMPORTANT NOTE: BOOKINGS AFTER 2 PM FOR THE SAME DAY: WE CAN ONLY SERVE THE MEAT MENU. Departs from Monday to Sunday at 19:30 with a total duration of 2,5 hours.